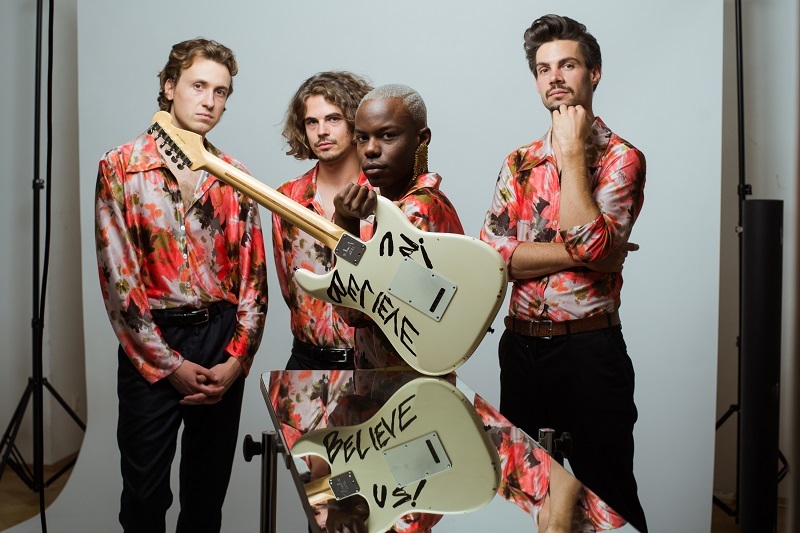 Austrian four-piece At Pavillon have just released their brand new single Believers, taken from their upcoming album Believe Us, set to arrive tomorrow, January 25th, via Las Vegas Records. I am loving the energy of this song. Groovy guitar licks and energetic drums make this an explosive piece of indie pop/rock music that will get you dancing in no time. The track starts slowly, but quickly combusts into a catchy chorus carried by powerful, yet raspy vocals and a bassline that will stick in your mind for the rest of the day. Watch its official music video below! ’Believers’ should empower the listener in their belief in themselves. ‘Believers’ is a call to stay optimistic, even in times when society is branding you naive.